talkingeconomics - Sri Lanka’s Debt Overhang: Getting Better, or Worse? Sri Lanka’s Debt Overhang: Getting Better, or Worse? The Sri Lankan economy appears to be enmeshed in a growing debt overhang. The latest figures released in the Central Bank Annual Report 2016 indicate that total general government external debt has grown by 10% in 2016 to US$ 27.2 billion. Even averaging out for 2015-2016, annual debt growth was 6.2% compared to 4.5% in the preceding two years. It is also not the case that the country is witnessing a lowering of the costs and risks of its external debt profile. The share of higher cost non-concessional and commercial external borrowing has crept up to 53% in 2016 from 51% in 2015, owing in part to US$ 2.2 billion raised through an International Sovereign Bond (ISB) and a syndicated loan in 2016. The combined impacts make for a risky external sector outlook for Sri Lanka in the near term. Already, an estimated US$ 5.7 billion of ISBs and syndicated loans are scheduled for settlement over a period of three years, beginning in 2019. As of mid-2017, the country is facing an incipient crunch point with regards to its ability to withstand any exogenous shock to the economy. The most recent available data suggests that official reserves have plummeted to US$ 5.1 billion at end March 2017, sufficient for only the minimum recommended threshold of three months of import cover. 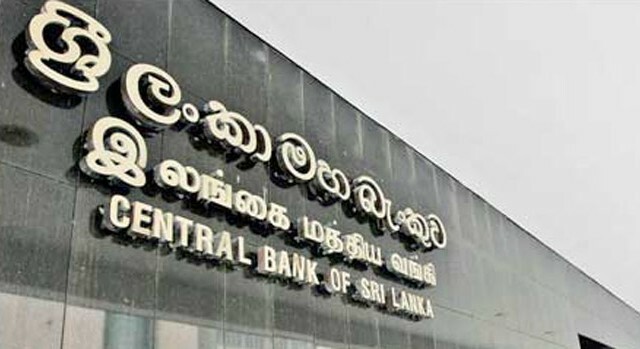 Not surprisingly, Sri Lanka is looking to tap international capital markets once again by mid-2017 to raise urgently needed funds through ISBs and syndicated loans. Thus, despite the existing external debt overhang, foreign borrowing shows no signs of lessening in 2017 either. The continued recourse to foreign borrowing has often been blamed on the need to service high debt costs on past borrowings. This is partly so, but the explanation is a little more intricate going by the available figures released by the CBSL on external debt settlements (Figure 1). In actual fact, total external debt service payments dropped in 2016. Amortization and interest payments on general government debt fell to US$ 1.9 billion in 2016 from US$ 2.8 billion in 2015 (and an average of US$ 2.2 billion in the two preceding years). The spike in 2015 came largely from the maturing US$ 500 ISB settlement. Thus, the total settlement for 2016 was well within US 2.2 billion foreign capital market borrowings raised in the year. However, foreign financing for budgetary needs in 2016 exceeded the estimated 2.3% of GDP. The final outcome tallied at a high 3.3% of GDP or approximately US$ 2.7 billion, up from 2.2% of GDP in 2015 (or an annual average of 1.7% of GDP in the two preceding years). Thus, Sri Lanka’s reliance on foreign loans to drive development is on-going. Long-term loans to the government and foreign investments in Treasury bills and bonds in 2016 brought in US$ 1.4 billion and US 1.2 billion respectively, to cover fiscal requirements. In addition to the above, the Central Bank settlement of foreign currency swaps, obtained primarily from the Reserve Bank of India (RBI) in 2015 to prop up reserves, drained a further US$ 1.1 billion as debt service payments in 2016. All told, the overall impact of debt management has still left the country without adequate official reserves and an increase in the outstanding volume of external debt. The medium-term trajectory of macroeconomic indicators suggests that debt indicators will worsen before they stand a chance of getting better. External indebtedness is typically based on two ratios – i.e., the value of total debt service to a country’s national income and export earnings. These are employed given that they capture two important aspects of a country’s potential capacity to service its debt; export earnings are an indicator of foreign exchange to service debt, and national income is a broad measure of income generation in an economy. By such measures, various debt indicators for Sri Lanka are worsening as GDP growth slows, and signals of a sustained recovery in exports remain elusive. Government external debt to GDP rose further to 79.3% of GDP and public external debt to 34.2% of GDP in 2016. A decline recorded in Sri Lanka’s debt service ratio to 25% in 2016 owes more to the overall drop in debt service payments rather than to a surge in earnings from exports of goods and services. The latter is stagnating at 20% of GDP for a third consecutive year, while earnings from exports of goods alone have continued its downward spiral to a low 12.7% of GDP. Sri Lanka has nonetheless made a start towards debt sustainability with a stronger fiscal outcome in 2016 under the watchful eye of the IMF. The primary account deficit has shrunk from 2.9% of GDP in 2015 to 0.2% of GDP in 2016; debt begins to stabilize when the interest payment is exactly off-set by a primary balance. Thus, the real test of debt sustainability will come with progress on fiscal consolidation efforts where improved domestic resource mobilization will lessen dependence on foreign borrowing. In the interim, the next two years are critical; Sri Lanka must urgently address the current dip in export performance and build hard currency buffers in view of its risky ISB redemption profile post-2019. The Sri Lankan Economy in the New Decade: What are the Policy Priorities? How Large is the Sri Lankan Global Middle Class?